I used to drink a little bit of water...mostly diet sodas...and because I wasn't thirsty, I didn't think I needed to drink eight glasses a day. And in part, that was true. I discovered I needed more like 15* a day! (I pour an ice tea pitcher of water first thing in the morning and I drink the entire thing before the day is through. Every day). My physical health---energy level, ability to handle stress, to stay grounded and focused, to maintain a healthy weight---all of the things that mean "good health" to me, were not possible without drinking water. Water is the basis of all life and that includes your body. Your muscles that move your body are 75% water; your blood that transport nutrients is 82% water; your lungs that provide your oxygen are 90% water; your brain that is the control center of your body is 76% water; even your bones are 25% water. 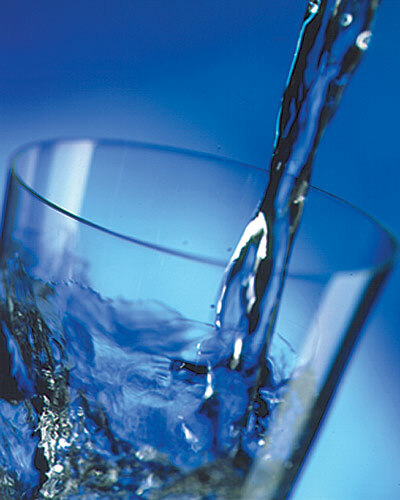 Our health is truly dependent on the quantity of the water we drink. The human body manifests dehydration by a series of symptoms and signs, perceptive symptoms of dehydration -- in other words, brain senses dehydration, or tiredness when you haven't done a good day's work, or first thing in the morning when you want to get up out of bed and you're tired, you can't get up -- that is a sign of dehydration. Then anger, quick reaction, depression, these are all signs of dehydration, when the brain has very little energy from hydroelectricity to cope with the information or take action. These are some of the perceptive signs of dehydration. Then the body has its drought management program, which are allergies, hypertension, diabetes, and also immune diseases. Dehydration is serious stuff. And continuing to allow dehydration to build in your body KEEPS STRESS HORMONES IN PLACE. You simply cannot catch up, and allow toxins caused by stress to leave your bloodstream, without sufficient water (so that water can move the toxins OUT of your body). Aerobics and yoga allow for stress residue to leave the body through sweat, respiration and stimulating vital glands. Urination is also key to eliminating stress toxins. To not move these out daily, keeps a running tab in your body of stress produced hormones and chemicals. Sure---you'll look cute in your jeans, but that's not why stress management sites preach exercise and water. It's to move the toxins out, so you get a 'clean slate' each day. To make this as simple as possible: You simply will not experience stress relief, without drinking water. *Here's an article on how much you may need on CNN.Com. 13 Health Issues Cured with 13 Cups a Day! "Water and Stress" and Back to "Physical Stress"?